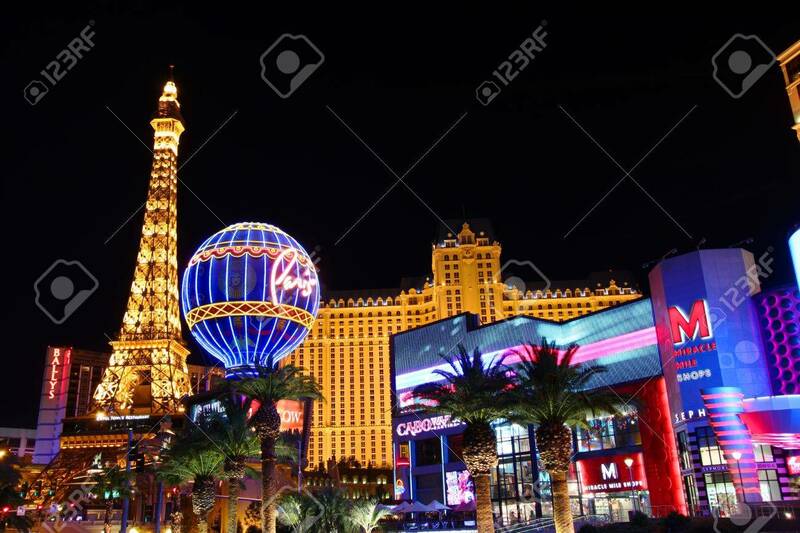 Las Vegas, USA - November 30, 2011: The Paris Las Vegas Is A.. Stock Photo, Picture And Royalty Free Image. Image 13887795. Stock Photo - Las Vegas, USA - November 30, 2011: The Paris Las Vegas is a hotel and casino in Nevada. Seen on the left are the venues replicas of the Eiffel Tower and the Montgolfier Balloon adorned in bright lights. Las Vegas, USA - November 30, 2011: The Paris Las Vegas is a hotel and casino in Nevada. Seen on the left are the venues replicas of the Eiffel Tower and the Montgolfier Balloon adorned in bright lights.